With more than 20 years of experience, Patty Rocklage helps her clients with overcoming their struggles throughout the greater Boston metropolitan area. A licensed psychotherapist, Rocklage has a warm and inviting style that helps to put people at ease so that they are more able to focus on the changes that they need to implement. She offers marriage and family counseling to families, couples and individuals in order to help them with facing their challenges. Rocklage graduated with her degrees in psychology from the University of Southern California in 1981. 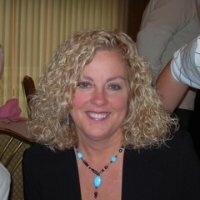 She is licensed to practice psychotherapy in the state of Massachusetts. Over her years of working as a psychotherapist, she has gained many invaluable skills, including coaching, public speaking, teaching and team building. Her unique skill set and her warmth have helped countless clients with achieving personal growth. A strong believer in the importance of her community, Rocklage enjoys community outreach activities. She ls also dedicated to giving back. She and her husband, Dr. Scott Rocklage, gave a major gift to the Massachusetts Institute of Technology's chemistry department in 2016 so that the university could renovate the nanotechnology and nanochemistry lab that is located in building two and which is used by the Lester Wolfe professor of chemistry, Moungi Bawendi. Dr. Scott Rocklage is a Ph.D. graduate of chemistry from the school. Rocklage resides with her husband in Sudbury, Massachusetts, where she is well known and highly regarded. She volunteers for the Sudanese Education Fund, which is focused on helping people from Southern Sudan who have relocated to Massachusetts by assisting them with finding stable jobs and attaining financial and educational stability. An accomplished psychotherapist, Rocklage believes in connecting with her clients in a meaningful way. She understands the sensitive nature of her clients' struggles and always maintains their confidentiality.